It is my pleasure to be one of the first to congratulate Mr. Bylli Crayone on such a well deserved recognition by the City of Lawrence, MA with the “Power Person” proclamation. CONGRATULATIONS, Bylli! I’m very pleased that you are being recognized as an innovator in the music industry for the past 20 years. Your drive and determination in running, without any backing I might say, your indie music label is an inspiration to all of us in the industry. And even more importantly your dedication to helping others and the charities you work with are so very lucky to have you. I wish you continued success and congratulations again on this honor. It is well deserved. During the 80s, like most teenagers during that time, Bylli Crayone was an avid fan of the era's infectious pop and dance music. 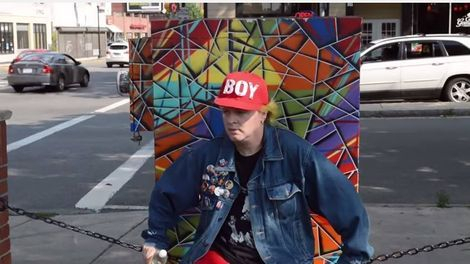 He was heavily influenced by artists like Cyndi Lauper, Boy George, Howard Jones and Debbie Gibson. However, he never expected to take on the role of what became his life in music. 1991, Bylli Crayone got an opportunity of a lifetime. An invitation to record a song at Debonaire, one of Miami's hottest dance music recording studios. The song was 'Girl Hang It Up' a Freestyle dance track. It was written by Bylli Crayone and produced by Claudio Berella. It was only released on 200 cassette singles at the time. FUN FACT; The song was originally written as a 'Break Up' letter for his aunts at the time boyfriend. Due to the event being so last minute and being unprepared, the letter was changed around to become a song. 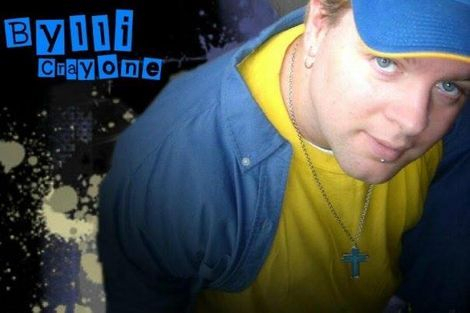 Throughout the 90s, Bylli Crayone continued to record songs that remained unreleased until his debut album 'ORIGINAL / UNIQUE' was released on LawTown Records in 1999. Released in limited quantity and only on CD. The album is one of his rarest and most wanted by his fans. It was never released digitally. However, in 2018, upon its 20th Anniversary, it will see a CD and Digital re-issue. In 2005, Bylli Crayone teamed up with childhood friend Domenic Marte who is also a recording artist and on the Sony Latin label. Together they worked on Bylli Crayone's self titled album 'BYLLI CRAYONE'. Domenic produced the songs 'Toyfriend' and 'Mi Corazon Belongs To You' but it was the freestyle dance track 'Touch Me All Over' that became the albums lead single. All Though that song was originally recorded in 2000 (6 years earlier). This album became the first of his to be released in both CD and digital formats. In 2006, While waiting to record the next studio album, a remix album was released of songs from the Self Titled album. All new remixes and a couple new cuts including 'Boy Next Door' Featuring Domenic Marte. In 2007, the dance single 'Dizzy Boi' was released. It was a huge underground club hit. It also landed itself on numerous compilation albums. Including Promo Only along such artists as Rihanna, Backstreet Boys and Jennifer Lopez. The song was also given the remix treatment and was released as a Freestyle mix on the Legendary Freestyle Dance label MICMAC Records. In 2008, the album 'NOT A TYPO' was released and included 'Dizzy Boi' along with a cover of the Cyndi Lauper classic 'Change of Heart'. Earning praises by both Cyndi Lauper and the original song writer Essra Mohawk. The album was a 'Radio Edits vs. Remixes' release. In 2010, An idea for an 80s 'All Star' collaboration album was introduced to Bylli Crayone by his good friend Lisa Lisa (Lisa Velez of LISA LISA & CULT JAM). The album took a year to write and record. Teaming up with such great talents as 80s Pop Princess TIFFANY of 'I Think Were Alone Now' fame on the song 'It's Okay Boy' which went on to become a Fan Favorite. Also on board were the UK's SAMANTHA FOX and BOY GEORGE. It didnt end there. The album went on to include 80s Pop Duo NU SHOOZ, 80s Rap Legends MIX MASTER ICE of UTFO and SPINDERELLA of SALT N PEPA. Lastly, it also featured the Freestyle Legend APRIL. The album was titled 'Presto - Element of Surprise'. FUN FACT; Other artists that were up for taking part on this special collaboration included ORAN' JUICE JONES, NOCERA, NOEL and ROB BASE but due to schedule conflicts, those recordings never happened. In 2013, Bylli Crayone recorded the Christmas song 'Dreams Come True At Christmas Time'. It was released digitally and on limited edition CD Single. In 2015, A German production duo named Max & Sebh contacted Bylli Crayone to record a cover of the 80s song 'Is It Love' originally done by Mr. Mister. The song went on to become a Fan Favorite. Later that year, Max & Sebh reached out to Bylli Crayone again with an offer to produce his 5th studio album. In 2016, The album '25 YEARS - THE BEST OF' was released Digitally and on CD. Includes 14 of Bylli Crayone's most popular songs. Everything from 'Girl Hang It Up' and 'He Winked At Me' to 'Touch Me All Over' and 'Dizzy Boi'. In 2016, The album 'GREEN' was released. The album was recorded in Germany and completely produced by Max & Sebh. This time Bylli Crayone teamed up with long time friend Shana Petrone. Shana is best known for her 80s hit 'I Want You'. The two collaborated on the song 'Mixed Signals'. The albums lead single 'I Don't Want You' went viral early 2017 due to a famous comedian Amiri King sharing the video link. On The Official Facebook page, the video is currently at 321,915 Views. In 2016, A special collector box set was released. 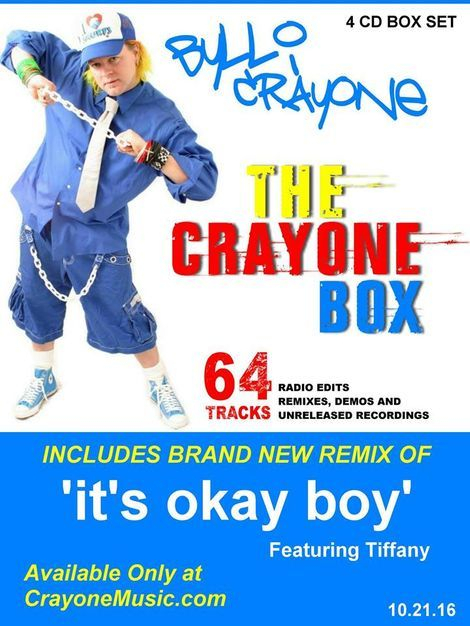 Its a 4 CD Set called 'THE CRAYONE BOX'. This Special CD release include 64 Tracks. 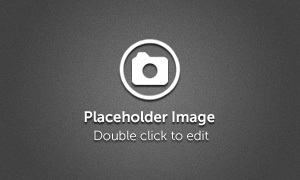 Popular Songs, Demos, Remixes, etc. Also include Post Cards and the 4 CDs come housed in a Fat Box. Due to the economy and how hard it is to make ends meet, Bylli Crayone has taken it upon himself to launch the "BACK 2 SCHOOL PROJECT". 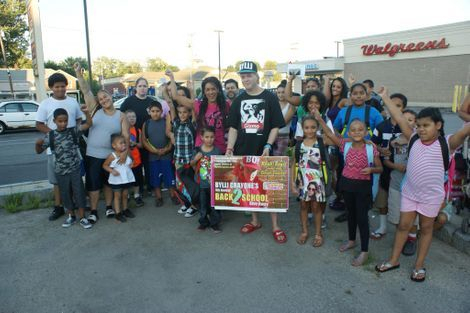 An event he has been doing in his hometown of Lawrence, MA annually since 2007. Knowing that many parents are not financially able to get their kids what they need for school. Bylli Crayone does what he can by providing assistance to those in need. Every August, Bylli Crayone has gone 'Out of Pocket' and purchased multiple Book bags and loaded them with School Supplies for the new school year. Supplies include binders, note books, pencils, pens, filler paper, pencil case, markers, etc. The event is open to any child in grades 1 through 8 that live within the City of Lawrence, MA. Over the years, since 2011, the event did receive some personal sponsorship. Sponsors include some of Crayone's personal friends from the 80s music era. Names like Gloria Estefan, Debbie Gibson and Sheila E have all contributed to Bylli Crayone's 'BACK 2 SCHOOL' event. Also some corporate sponsors have contributed as well. Sponsors being Walgreens and Staples. The event is held at various locations over the years from public parks to Dunkin Donuts, National Night Out and over the Radio via 'La Voz De Pueblo' (The Voice of the City) with Isabel Melendez. City Councilor Sandy Almonte has also helped out over the years by assisting with giving out the Book bags. In 2007, Bylli Crayone also launched the GIFTS 4 KIDS Project. Being a high-profiled individual within the city of Lawrence, MA. It only made sense to use his celebrity to help out during Christmas as well as School time. Bylli Crayone once again went 'Out of Pocket' to buy toys for the less fortunate within his city. Each year, the amount of children was getting larger and larger. Crayone would arrange to meet with parents to see if they qualify for the gifts. By doing this, they would have to show proof of residence, proof of children and proof of income. Once approved, the names and ages of the children would be submitted to Bylli Crayone and he would then go out and buy their gifts. The gifts would be picked up the first week of December. Another thing Bylli Crayone does is walk the high volume areas within the city and pass out gift bags. Bags with gifts that were gender neutral to boys and girls ages 3 to 12. He would pass them out accordingly and wish the children a Merry Christmas. He believes all children should be happy on Christmas no matter what their living status is. If he could do for everyone the entire year - he would. With a heart of gold, there's no doubt about it. 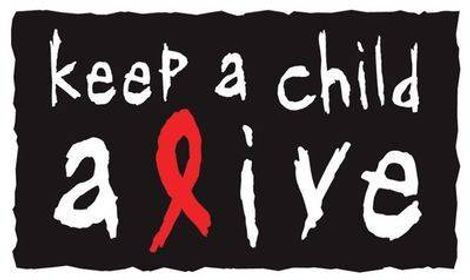 Keep a Child Alive (KCA) was co-founded in 2003 by Alicia Keys and activist Leigh Blake as an emergency response to get children living with HIV the medicine they needed to stay alive. Ten years later, KCA’s core mission is unchanged and they have expanded their work to include comprehensive clinical care, psychosocial support, and food and nutritional support in Kenya, Rwanda, South Africa, Uganda, and India. Keep a Child Alive is unique because they fund grassroots organizations that believe treating people with love and dignity is a central component of HIV care. 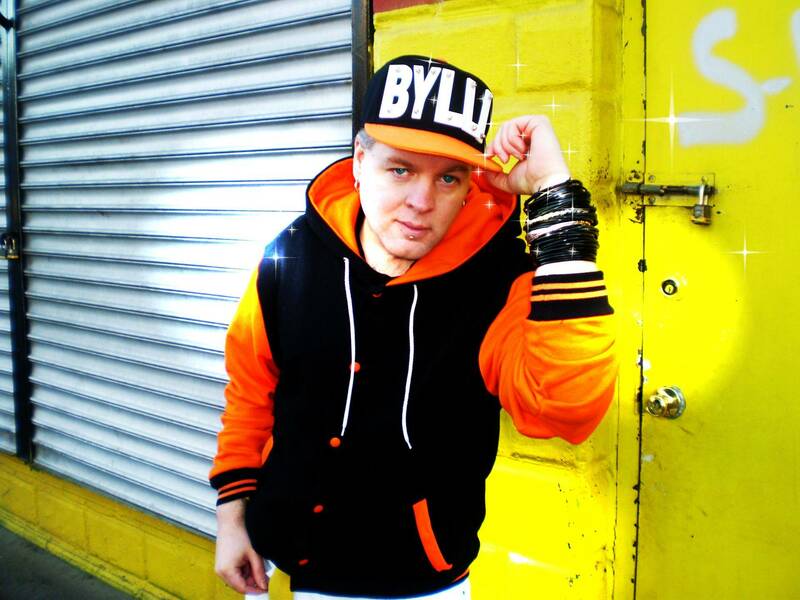 In 2014, dance music recording artist Bylli Crayone of Lawrence, MA joined the movement by donating 50% of proceeds from all music downloads made through his account on Reverb Nation. This includes many of his well known dance hits.